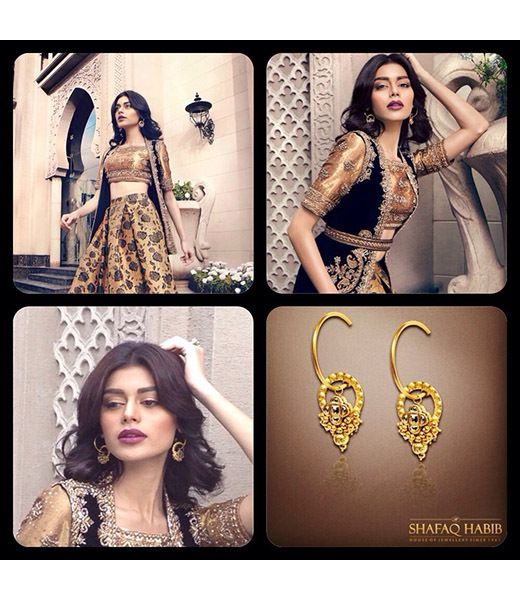 Shafaq Habib House of Jewellery (SHHoJ) is a renowned and trusted label based in Lahore that began its journey in the 80's in New York City where the brand's namesake founder started her career. 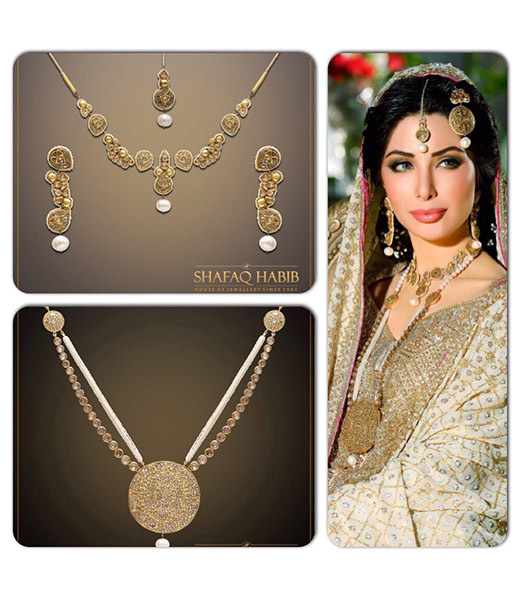 Shafaq brought her brand to Pakistan in the 90's with a focus on South Asian ornaments. 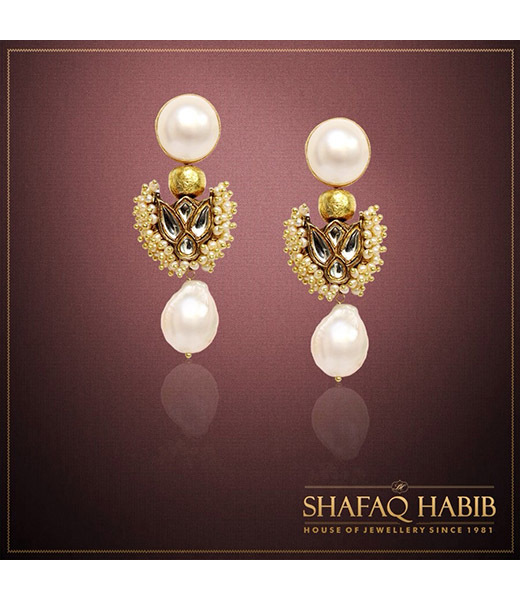 Working closely with her artisans they create exotic 22K Gold and Diamond jewellery that exhibits a contemporary spirit while remaining loyal to the beauty of ancient Subcontinental forms. 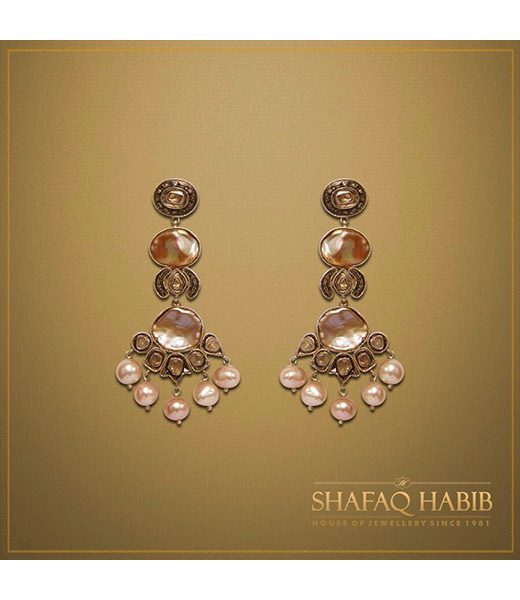 Inspired by her travels around the world, Shafaq pours her experiences of different cultures and art forms into her designs, fusing them with her own ethnic roots. 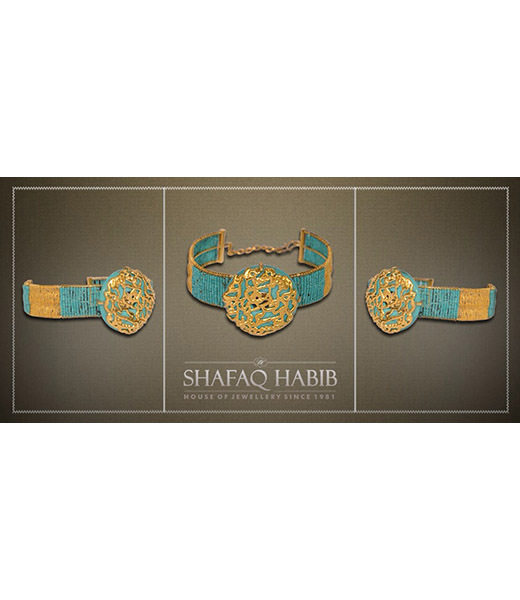 Her creations blend European, Far Eastern, Arabic, Persian, Turkish, and Central Asian art with traditional South Asian ornaments. 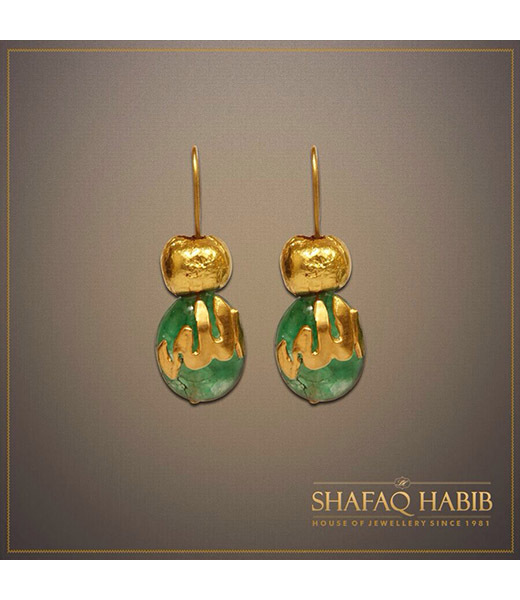 Islamic calligraphy is a prominent feature of her creations. 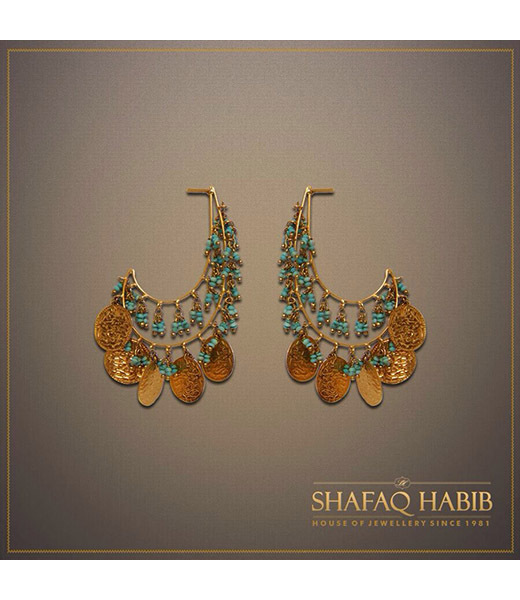 She especially enjoys introducing unconventional colors such as Amber and Turquoise to traditional designs and experimenting with elements such as inserting classic Indian Polki diamonds with an Italian filigree gold pattern. 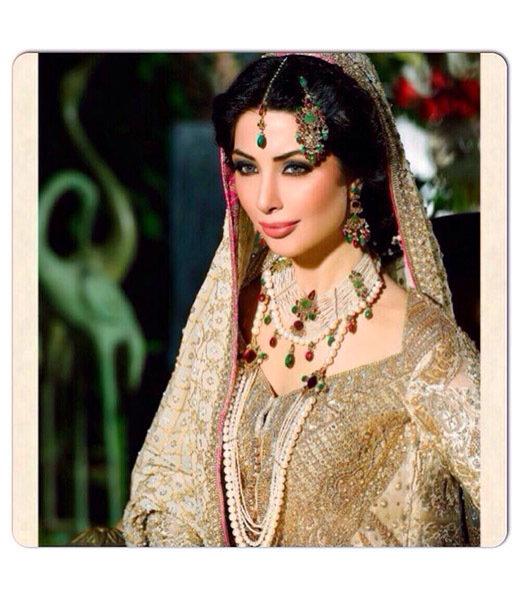 The designer's forte is bridal jewellery for which she recently collaborated with luxury label Sania Maskatiya to present their latest collection at PLBW 2014. 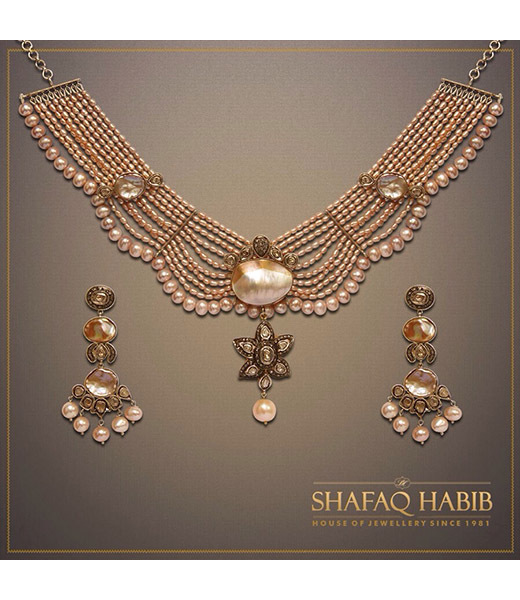 The premise behind the pieces for Shafaq was to craft something as traditional as Polki diamonds and 22K gold into modern works of art. 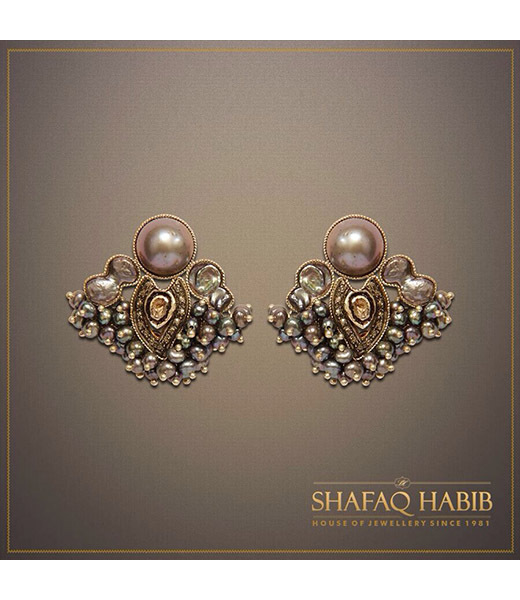 The result is a collection of bridal jewels that are royal, contemporary and distinguished. 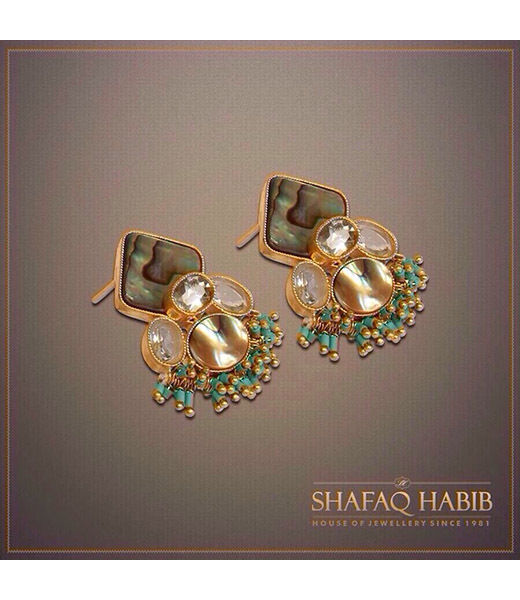 Shafaq's daughter Misha works closely with her as Creative Director for the label sharing her unique expertise to design exquisite universal jewellery with her Mom. 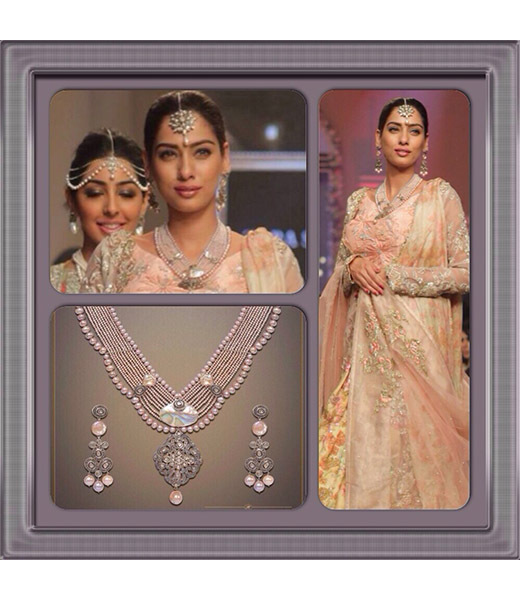 Misha is a GIA certified Graduate Gemologist as well as a trained Jewellery Designer from both FIT (Fashion Institute of Technology) and GIA (Gemological Institute of America). 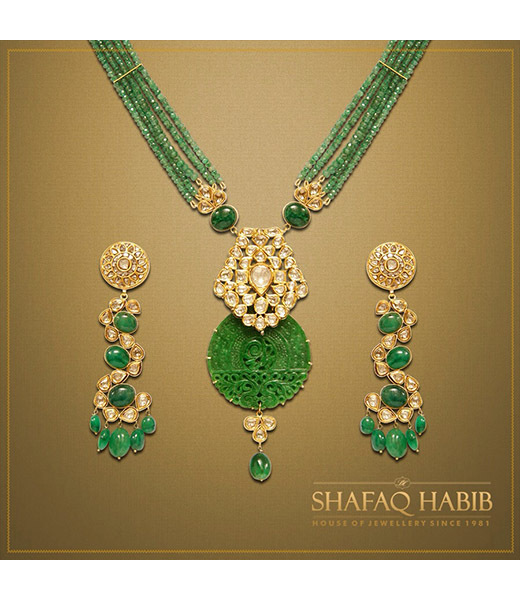 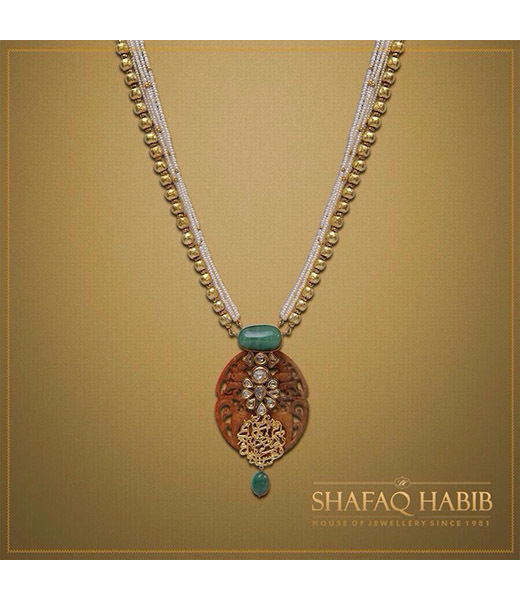 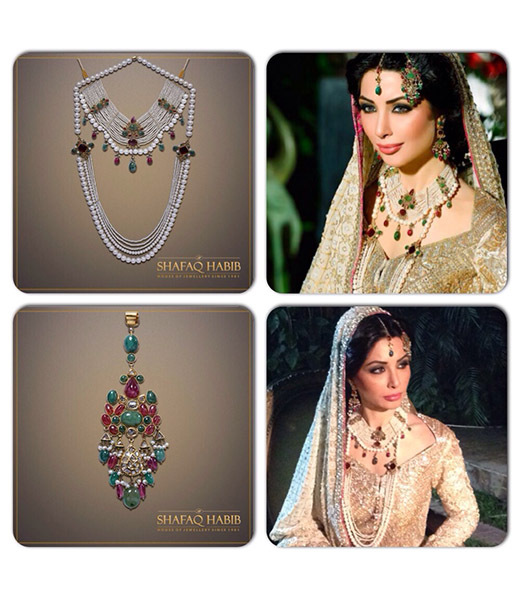 Shafaq Habib jewellery is available from their flagship outlet in Lahore as well as at international exhibitions in USA, Canada, UK, Europe, the Middle East and the Far East. 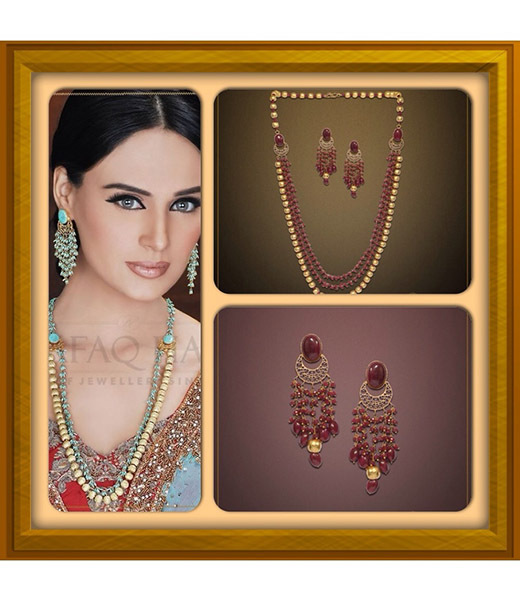 Their collections are also offered on their online Estore for worldwide shipping.